Before dia-buddy and I even got on the T, I could feel that these might not have been the smartest decision, but I tried to plan for that! I went shopping early in the week, I bought the little socks (they hurt with the shoes), and I wore them every single night in my apartment. And I still ended up with blisters. As I’m standing with my two most dependable friends, my feet were entirely out of my shoes, just resting on the top; with a warning of “please warn me if someone is about to bump into me.” When we walked somewhere, I kept my toes in the shoes, but my heels out, and I shuffled more than walked. People started to walk and I would remind them that all I could do was shuffle. The only thing I didn’t do was take the offer to get carried around the city. There was a good chunk of time where I was able to keep my shoes off, and even put neosporin on them. I did everything I thought of to prevent blisters, and yet I still have them. I have three on my left foot and two on my right. I had to go to Target today and buy lots of first-aid “stuff” in the hopes of getting better, and quickly, without getting infected. I have never been worried about things like this before because I’ve never had blisters this bad. These are bad though and I’m nervous. If I had to do it again, I might not wear the shoes, but the reality is, I probably would. I now must live with the consequences and pray that the pain and my gross-looking feet are the only negative consequences I must live through from this decision. I didn’t see this was a re blog oopsie! But my comment still stands and I even travel with a ziplock Baggie of epsoms. 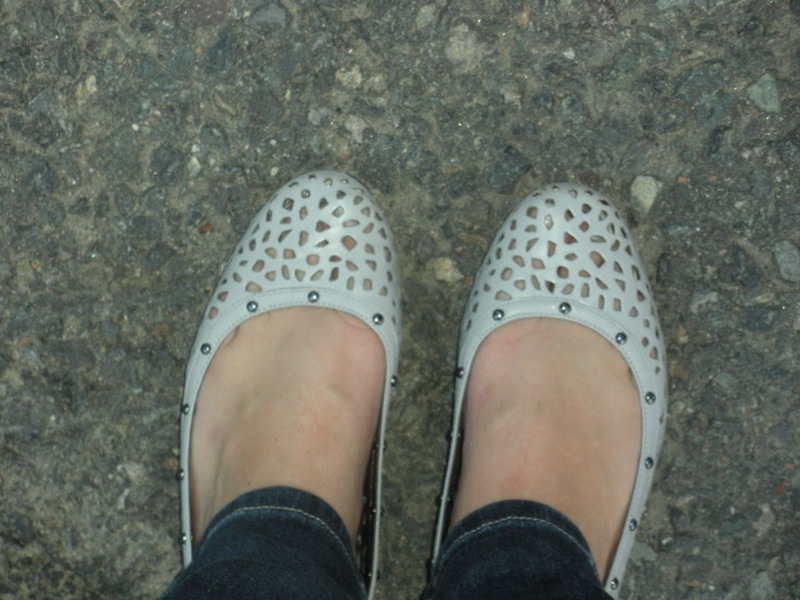 As for shoes when travelling I always have my running shoes, a trusted pair of flats or sandals and one dressy pair! When you go out make sure to get Epsom salts! It’s cheap, and a super effective foot soak an all round cure all for topical infections. You put around 1/2 cup of salts in really hot water in a wash basin and soak your feet for 10-15 mins. I had a really bad infected ingrown toe nail and nothing was working but two days of an Epsom soak twice a day fixed it fast. I also will make a paste of the salts and water and put it right on the cut if the infection has started.